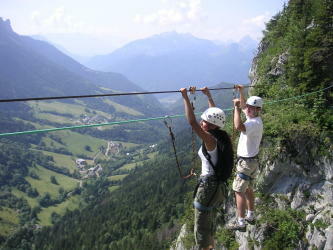 In the program: a pleasant Via Ferrata at “La Tournette” (climbing, tyrolean, monkey bridge and rappelling) and the complete descent of the Canyon of Montmin (jumps, sliders, rappelling). A full of sensational and playful activities for an unforgotable moment! For the canyoning; swimsuit, towel, sneakers to get in the water. 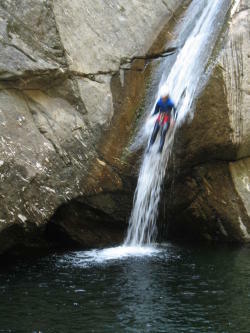 Meeting on Saturday at 1:30pm at our canyoning center in Vesonne (access plan provided at the reservation). Sunday at 8:30am, meeting at the church of Montmin (access plan provided at the reservation).